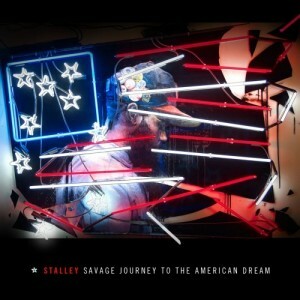 You know how much we’ve supported the work of the fast rising star of u.s. hip-hop today and Ohio pride: Stalley. Taking us back to a more conscience and original hip hop with his first mixtape Lincoln Way Nights, and a fresh attitude on live, we’ve started to see stars in our eyes. A year later, we are facing a questioning; What is really going to happen? Spreading his style, Stalley likes to team up with Rick Ross ( who just won his name in court) playing with the limit of authenticity to flirt with gangsta rap and we start to hear souds and attitude we are less comfortable with. Hoping this is just an adjustment of someone who’s going to stay true , we share with you Party hear, featuring Rick Ross (oh look Dwayne Wade and LeBron James! ), invite you to download his mixtape, and hope to get some feedback from you.